In October 2018, the first crop of Rema Tip Top trainee belt splicers graduated from the business’s training academy program and were mobilised to a customer site in the Pilbara to work alongside experienced mentors. Over the next two years they will complete a nationally recognised polymer processing certificate III. A second group of trainees began their program in mid-January with a further six planned in 2019 Australia-wide. This approach from the Rema Tip Top Academy in Perth was borne from an industry-wide demand for skilled labour but has taken it a step further by producing specialised tradespeople aligned to national certification standards and demonstrating best practice techniques, skills and safety knowledge. The key to the program’s success is Rema’s long-term strategic approach to training and the involvement of its key customers in supporting on-site practical experience. This experience sees trainees exposed to high risk tasks in a controlled environment to induct them into the best possible safety culture. 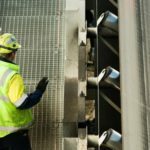 Alignment to national certification and a heavy focus on quality assurance and safety has seen trainees raise the standard across the business and drive reliability of conveyor assets through the highest quality workmanship. 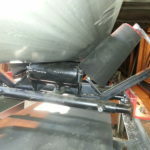 The RTO-accredited Rema Tip Top Academy has also begun conducting recognised prior learning (RPL) for its existing, experienced splicers to get them on a pathway to the nationally recognised certification. By the end of 2019 it is forecasted to have trained 59 employees in polymer processing and issued a further 68 certificates via the RPL process. 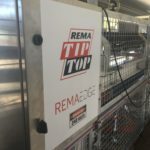 By driving nationally recognised certification, Rema Tip Top is not only leading its industry segment in training and setting a new quality benchmark but is investing in the future of all its people.